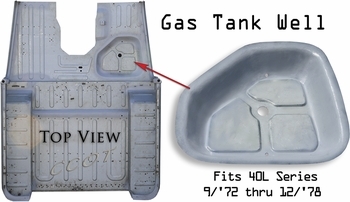 CCOT's replica "Gas Tank Well" fits left hand drive 40 Series Land Cruiser, 9/'72 thru 12/'78. 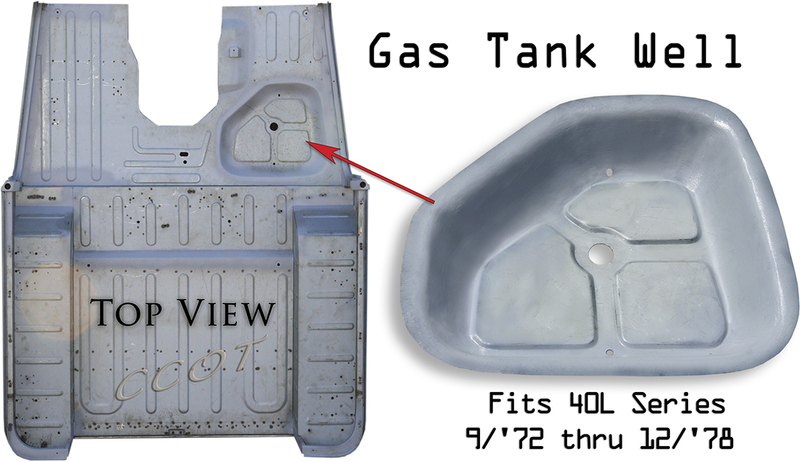 The HFS Hell for Stout® Tank Well is die pressed from the highest quality 18 gauge, zinc coated sheet metal. Zinc coated sheet metal is a highly rust resistant and corrosion resistant metal that has a high mix of zinc and is also finished with a zinc top coat. Because of the zinc coating, the metal does not need to be primed and one could paint directly to the metal if they choose. Only the installation welds would need to be treated with self etching primer. In addition, the zinc coating highly stiffens the 18 gauge steel.